The post office in my neighborhood is utterly worthless. He holds up a 22 cm x 16 cm envelope. 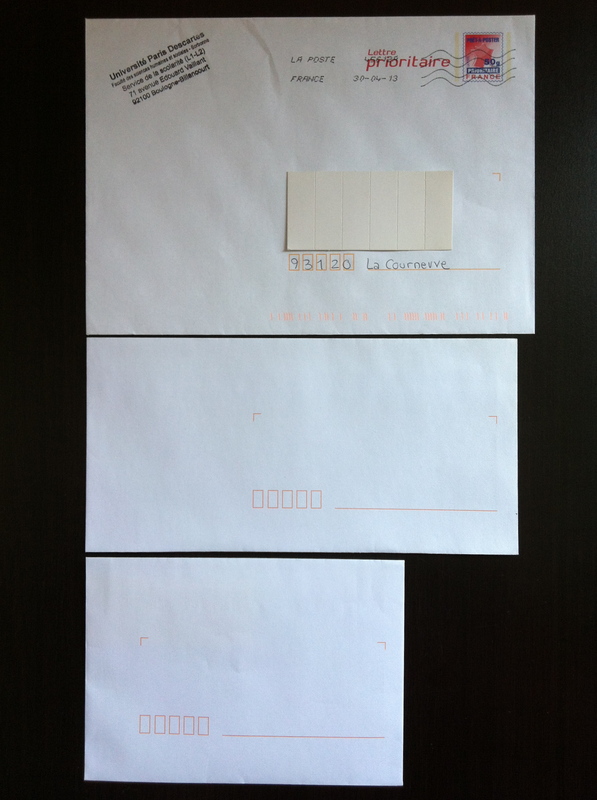 To visually demonstrate the difference: The envelope at the top is what Post Office Guy told me was 16 x 11. (It’s actually 22 x 16.) 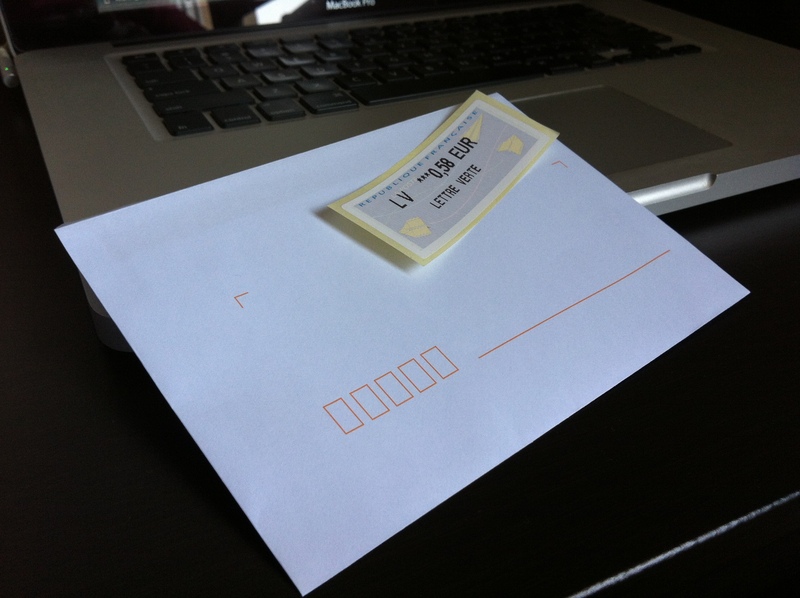 The middle envelope is what we Americans think of as a standard envelope. (Here, it’s about 22 x 11.) The envelope at the bottom is what I asked Post Office Guy for. Not quite what you see at top, is it? I mean, after all, who am I to question the guy who’s responsible for selling all the envelopes at the post office? The third window … the one where’d just spent 20 minutes in line to get envelopes … um … I mean, to not get my envelopes. I looked down at my receipt and, sure enough, it was actually some sort of claim ticket for 0.84€. I looked at my claim ticket. I looked at the line. I walked out without my change and headed straight to Super U to get my envelopes which, as I already kinda knew, were not the size Post Office Guy said they were. Maybe I’ll go back to the post office tomorrow or Monday to get my 0.84€. Or maybe not. I’m not sure 84 cents is worth the effort. In any case, I now have my stamps and my envelopes and — despite the post office’s best efforts — they’re the right size. Ha ha! I have no luck at the post office in La Courneuve. In Paris, it’s better. Here, it’s a disaster!